A mayordomo knows that each season presents a very definite change in attitudes, challenges, and environment. In the mayordomo mind, these changes give emphasis to attitudes learned by the changing seasons. a. Evaluate snowpack in your watershed, by visual means, predictions, experience of past years, etc. You can also consult publications that ate put out by the Natural Resources Conservation Service (NRCS). b. Rest your acequia duties? Not completely, maybe physical work yes, but in the back of your mind you are evaluating and planning for the year ahead, including will the river feeding your acequia experience a heavy runoff? FEBRUARY Acequia duties are still at rest (maybe). As mayordomo you are firming up your plans for the limpia, formalizing billings, firming up a date to do an acequia walk to evaluate impacts from desagüe to atarque. This may be a good time to have a meeting with parciantes and commission, depending on your by-laws. If so plan, the meeting after your acequia walk so you can share your list of findings with them. Depending on by-laws or custom, set your plan for annual billing; plan for revenue to be available for the limpia. Should you plan to block off water flow to prevent premature water coming in and overwhelming the compuerta? This will bring in unwanted silt. Are there problem parciantes? How should you handle the problems? Is it necessary to plan for commission assistance? What should you communicate to parciantes in your annual billing? Plan a walk on the acequia; are there beaver dams, silt pockets, clogged culverts, weak embankments, damage by muskrats or gophers? Are there head gates that need attention? Consult with parciantes about problems experienced last year, listen to their suggestions. MARCH Acequia duties are still at rest. (Except for the following) review what you planned in January and February. Remember the chronology. a. Is a heavy or early runoff imminent? b. What is the condition of the acequia? c. What are the needed repairs? d. Have you prepared for meeting, billing amounts estimated for limpia and repair costs? Are they adequate? Most duties this month carry over from your rest period (you can continue to rest). 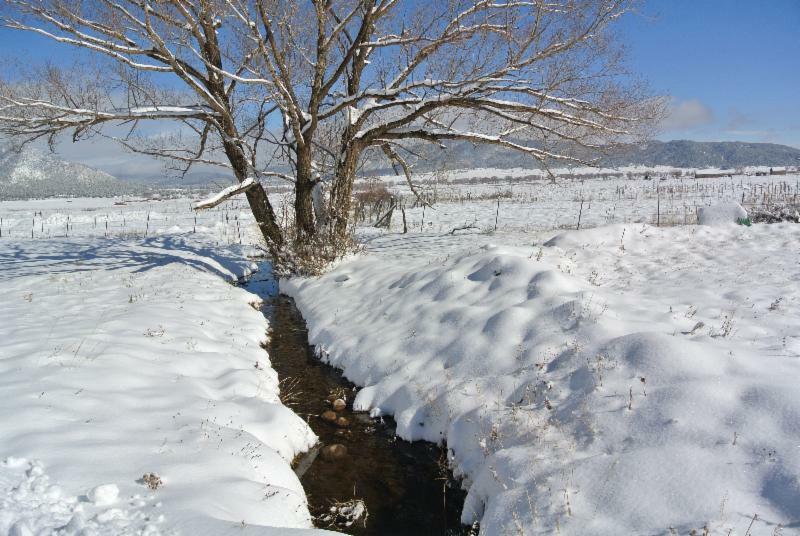 It may be a good idea to walk the acequia again to check on ice conditions, rocks and other debris that have rolled into the ditch. You don't want surprises when you begin the limpia. If heavy runoff is expected, be sure to have extra blocking at the atarque to prevent runoff damage to banks, compuertas, and silting. Depending on your acequia by-laws, tradition, conditions etc., set the date for the limpia and the date for opening the main head gates. 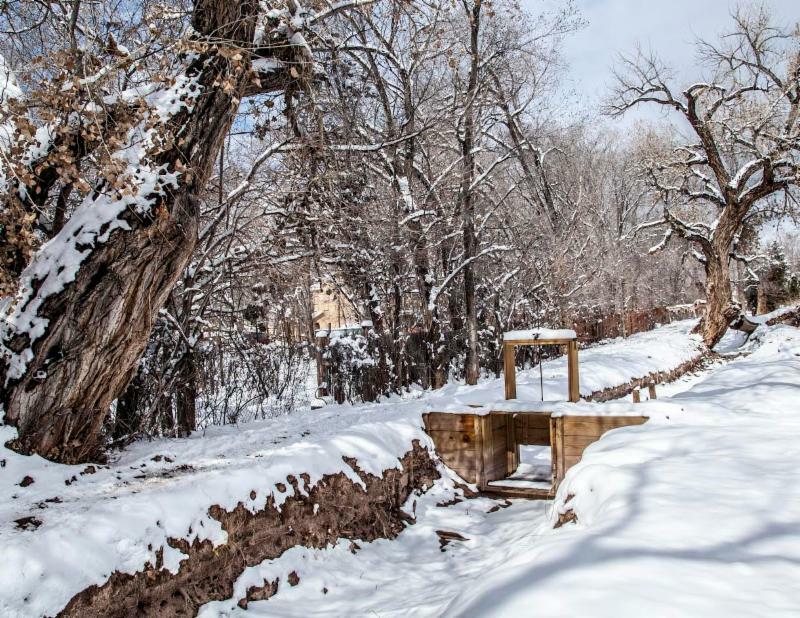 Each acequia is unique in this respect. 3. Headgates: are they in good operating order? Heavy or early runoff likely?